Provide comfort for the family of Frances Cavalucci with a meaningful gesture of sympathy. Fran, 98, of Connecticut, formerly of McDonald, died Monday, January 14, 2019, in Connecticut. She was born May 16, 1920, in West Virginia a daughter of the late Anthony and Catherine (Oliverio) Marrra. Fran was a former member of St. Alphonsus R. C. Church, McDonald where she was a CCD secretary. Surviving are her children, Donna and the late J.J. Dougherty of CT, and James and Joy Cavalucci of FL; grandchildren, Daniel Dougherty of FL, Sean Dougherty of CA, Dara Terrio of MA, and Jeffrey Dougherty of CT, Sherry Widenhouse of NC, Kelly Laughlin of VA, Also surviving are her great grandchildren, Sarah, Shane, Rachel, Hannah, and Julia Dougherty, Michael and Ryan Terrio, Madison and Keaton Widenhouse, and Abigail Laughlin. She was preceded in death by her husband, James L. Cavalucci (1974); brothers and sisters, Mary Guzzo, Della Ossola, Ruth Pulice, Rose Talerico, James Marra, Josephine Verlato, Sara Mercurie and Frank Marra. Friends will be received Friday 4-8 p.m. in the Thomas-Little Funeral Service, Inc., 314 W. Lincoln Avenue, McDonald (724-926-2800). A Mass of Christian Burial will be celebrated Saturday at 10:00 a.m.
in St. Alphonsus R. C. Church, 219 W. Lincoln Avenue, McDonald. Interment will follow in Calvary Cemetery. In lieu of flowers memorial donations may be made to Heritage Public Library, 52 Fourth St. McDonald, PA 15057. 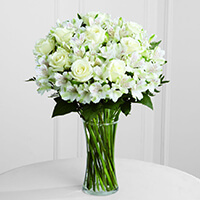 To send flowers in memory of Frances B. "Fran" Cavalucci (Marra), please visit our Heartfelt Sympathies Store. Amelia, Brian, and Darcy Walsh, Platinum Information Services, and others have sent flowers to the family of Frances B. "Fran" Cavalucci (Marra). Sending our love and prayers to the entire Cavalucci family. Amelia, Brian, and Darcy Walsh purchased the The FTD Cherished Friend Bouquet for the family of Frances Cavalucci. Dan and Family - Please accept our heartfelt sympathies. You're in our thoughts and prayers. 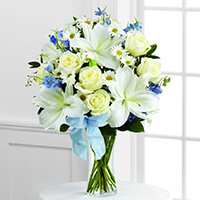 Platinum Information Services purchased the The FTD Farewell Too Soon Bouquet for the family of Frances Cavalucci. Donna, and Jim and grandchildren, so sorry for your loss. 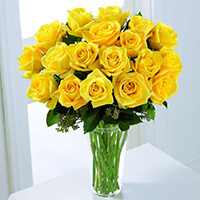 Tim & Joan Dougherty purchased the The FTD Yellow Rose Bouquet for the family of Frances Cavalucci. We are so sorry for your loss. You are all in our thoughts. 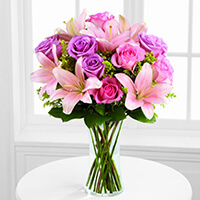 Frank, Nicole, Gia, Alexa & Chris Ferrante purchased the The FTD Sweet Peace Bouquet for the family of Frances Cavalucci.